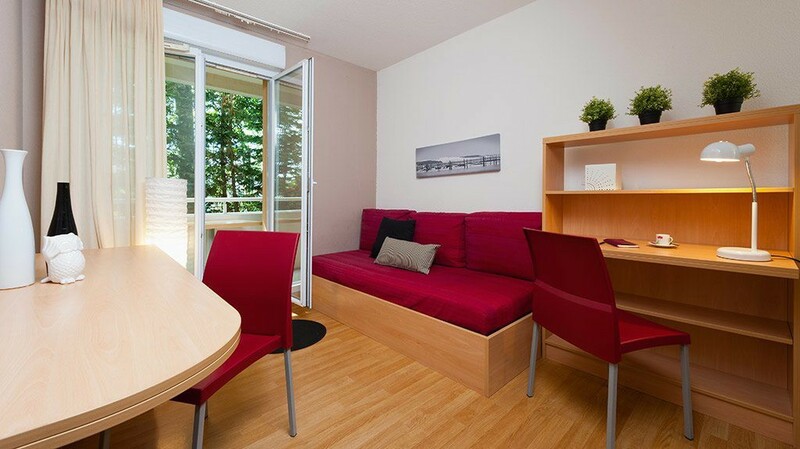 Are you looking for a student accommodation in Bordeaux? You don’t want to be bothered about relocation hassles when you settle down in your new apartment? Study’O takes care of everything! The only thing left to do is enter your suitcase in your carefully furnished and decorated accommodation. Our Bordeaux Garonne residence is ideally located near the Bordeaux universities and schools, allowing you to quickly access your place of study. You will also benefit from the proximity to public transports, transport time will be as short as possible! Our Bordeaux Garonne residence, where you will stay in your student accommodation in Bordeaux, offers a range of services and conveniences à la carte to facilitate your new student life: linen rental, laundry self-service, car parks, household… an entire team is at your disposal in this residence! As for your Internet browsing, you don’t need to subscribe with a provider, a broadband Internet connection is directly available in your student accommodation in Bordeaux, thanks to Study’O.